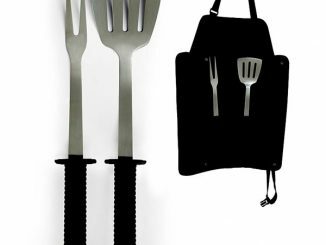 Nothing’s more American than backyard barbecues, especially if you have this Captain America BBQ Tool Set. 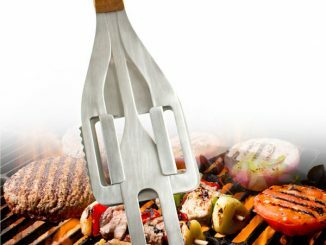 With a Captain America logo cut into the 304 stainless steel flipper, the grilling spatula is the centerpiece of this grilling tool set. 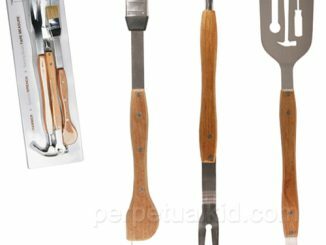 It, along with the long handled slotted tongs and grilling fork all have “Captain America” etched into the beech wood handles. 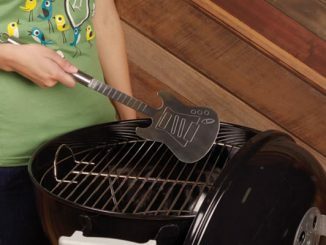 Both the spatula and grilling fork feature a bottle opener, for thirst quenching convenience. 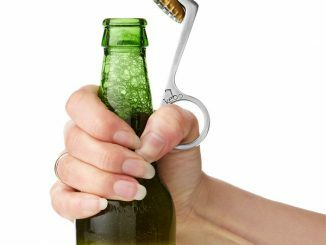 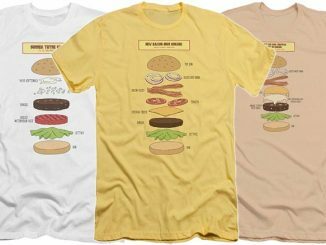 You’ll be able to flip burgers, pop open brewskis, and save the world like a superhero. 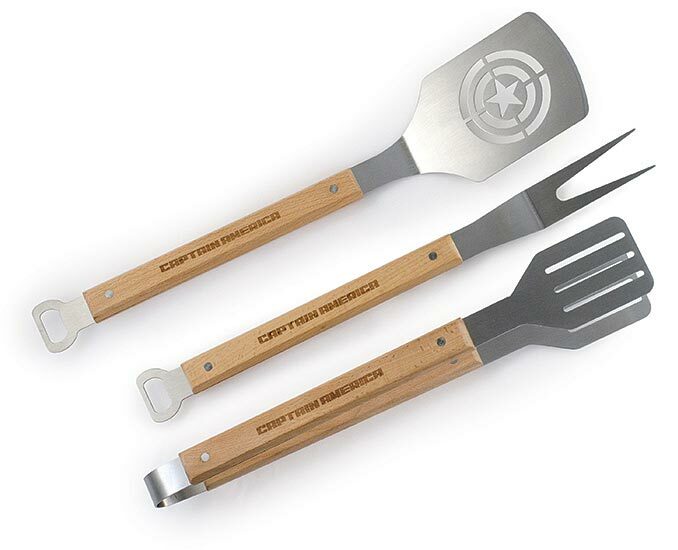 The Captain America 3 pc BBQ Tool Set is the perfect gift to say thanks to the hero of the grill. 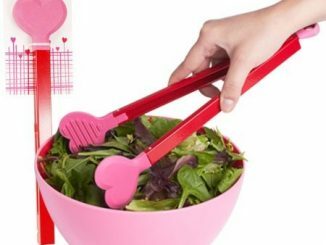 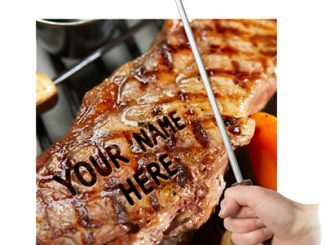 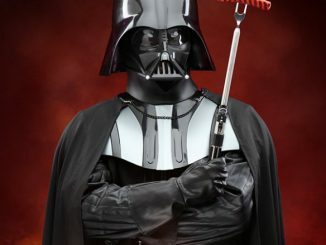 It’s a three-piece set that includes a logo grilling spatula with an offset handle and a bottle opener in the handle, a grilling fork with another bottle opener in the handle, and a pair of long-handled slotted tongs. 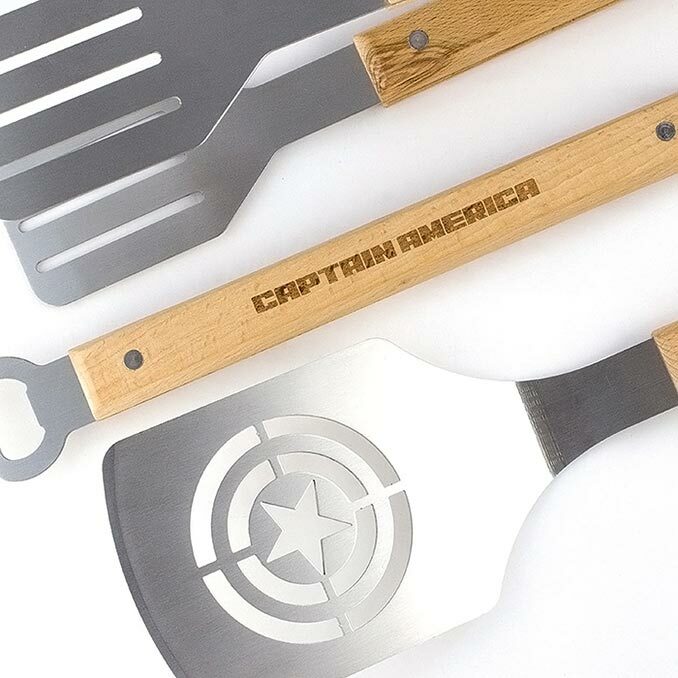 Buy this Captain America BBQ Tool Set for $19.99 exclusively from Think Geek. 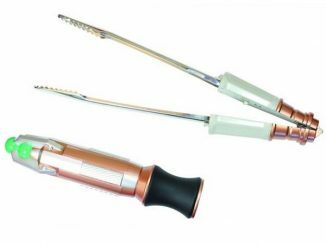 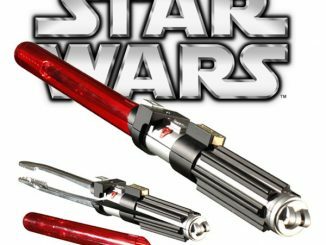 Memorial Day is right around the corner, and this would be a fantastic set of grill tools for your BBQ. 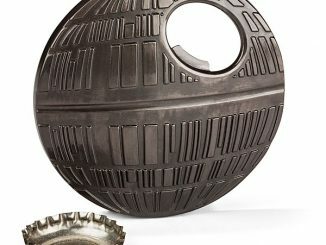 It would also make a nice gift for Father’s Day.